Being dubbed as the “Asian Arnold”, Chul Soon is a Korean bodybuilder who’s famous for his incredible physique; featuring “chiseled” 8-pack abs and an “old-school”, classic physique look. Since he first started competing in 2009, Chul has become a sensation in his homeland and beyond; winning numerous bodybuilding contests throughout the U.S. and Korea, as well as appearing in commercials and TV shows. However, Chul’s life wasn’t always glamorous and successful. As a youngster, he was often disrespected for his undernourished looks. Ironically, this is what made him turn to the weight room, and begin his journey towards success. Chul’s training life and desire for lifting weights started “emerging” when he was 20. His reason for beginning this journey was simple – he wanted to gain respect from people around him, and transform his “scrawny” body into something admirable. When he first started training, Chul would do 3000 crunches a day, almost on a daily basis. His training sessions would sometimes last more than two or three hours. However, he later realized that this type of training wasn’t the most efficient for building muscle; instead, he started following a structured workout program, and began focusing on his diet. 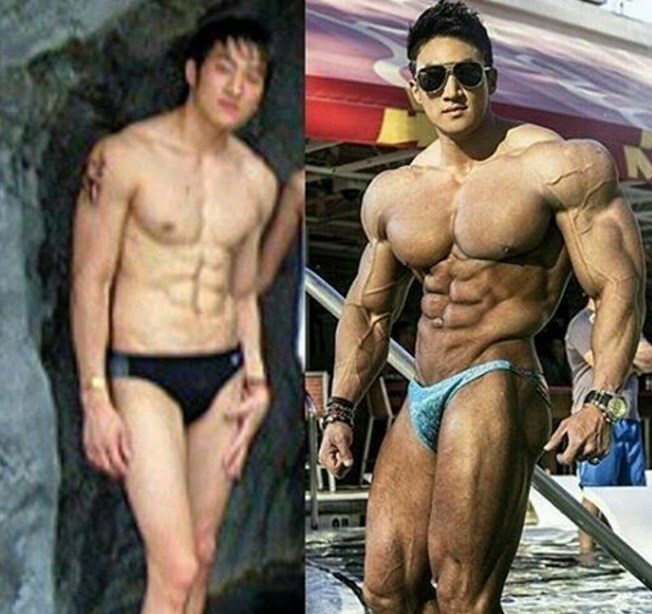 After he changed his approach, Chul began noticing tremendous progress on his physique. Three years later, he could no longer recognize himself – his physique was massive, proportionate, and “shredded”. With several years of weightlifting experience under his belt, Chul started working as a personal trainer in one of the gyms in Seoul, South Korea. Later, in 2009, he took his career in fitness one step further by starting to compete in bodybuilding shows. In his debut contest, the 2009 Musclemania World Championships, Chul finished in an impressive 2nd place (light-weight category). From that point on, he started competing on a regular basis, bringing more size and better conditioning each year – by the end of 2010, he’d sculpted such an impressive physique that he won the 2010 Musclemania World at Fitness America Weekend contest; earning his Pro Card along with the title. Since then, Chul has shown no signs of slowing down – he’s become a celebrity fitness trainer, and has appeared in numerous Korean and American commercials, TV shows, and magazines. Chul had to spend years in the gym, using trial and error as his guide, to build his “classic, old-school” looking physique. He mainly focused on compound movements that work multiple muscle groups, such as bench press, squat, pull-ups, and deadlifts. Chul believes that just these four exercises can be enough to build an impressive physique that resembles those of Golden Era. However, he still adds some isolation movements to his workouts; they help him shape the muscle, and even out any strength or size imbalances he might have. Some of these movements include cable flys, rear delt dumbbell flys, and wide-grip lat pulldowns. Chul follows a strict diet based on high protein, moderate carbs, and moderate fat intake. Most of his carbs are consumed in the morning and after a workout, whilst his protein and fats are taken throughout the day, especially in the evening before bed. Some of the more common foods and drinks he consumes are bananas, chicken, brown rice, whey protein shakes, and avocados. Chul eats a meal every three hours, each meal weighing around half a pound. Inspired to reach your true potential like Chul? Read our complete guide on how testosterone booster supplements can really enhance your game! 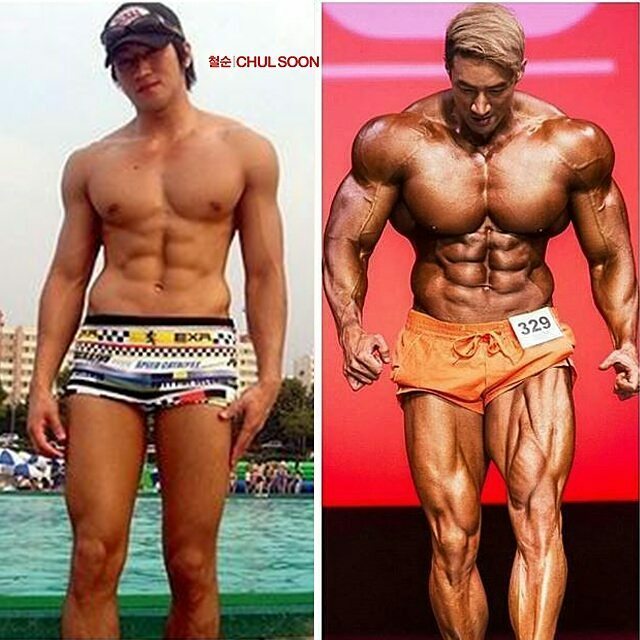 Looking at his physique, it’s easy to see that some of Chul’s main idols in bodybuilding are Arnold Schwarzenegger and the other Golden Era greats. The v-taper, huge arms and shoulders, thick calves and legs, and chiseled abs are the staple of Chul’s hard work in the gym, and representation of his goals in fitness. 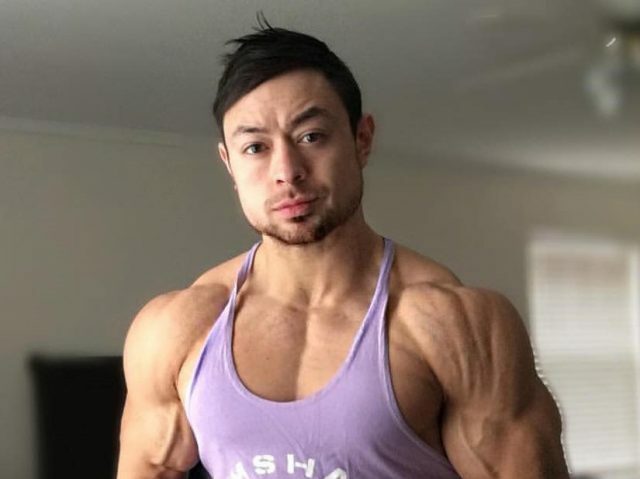 With his performances on the stage, Chul hopes to show that bodybuilding isn’t always about just getting as big as possible, but also, looking symmetrical. However, this doesn’t mean that he underestimates the hard work of today’s contemporary bodybuilders, but for him, the ultimate physique is the “classic” one. Chul Soon began his bodybuilding journey as a “skinny kid” who was disrespected by people around him – however, with a lot of time and sacrifice, he’s proven his “haters” wrong, and has become a bodybuilder “to the stars”. If someone ever underestimates your potential, or says something negative, just remember Chul’s story, and how he used every negativity that was thrown at him as a “fuel” to accomplish his ambitions. By following his example, you can overcome any obstacle, and become successful in life. His a good motivation for upcoming bodybuilder. Looking forward for more pics. I luv u so much chul I luv ur body ,I was just one little dream I wanna meet you many tym or my dis lyf ….Miss u brother …. Brother, today I read about you. Today only I saw your few videos and read your biography on Google. I m also 83 born, Now it’s my turn. I m beginning my journey from today onwards. Now my only dream is to make body like you. And not only hope, I believe I will achieve this. It’s will be great if we meet in person OR I will try to contact you on Facebook etc. Hey bro, you are awesome and i admire your spirit to achieve your dream or goal. 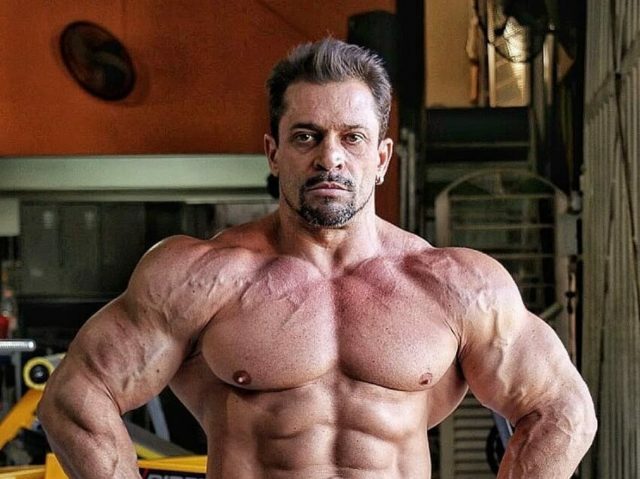 wao…..my favourite bodybuilder….you are my idle…. 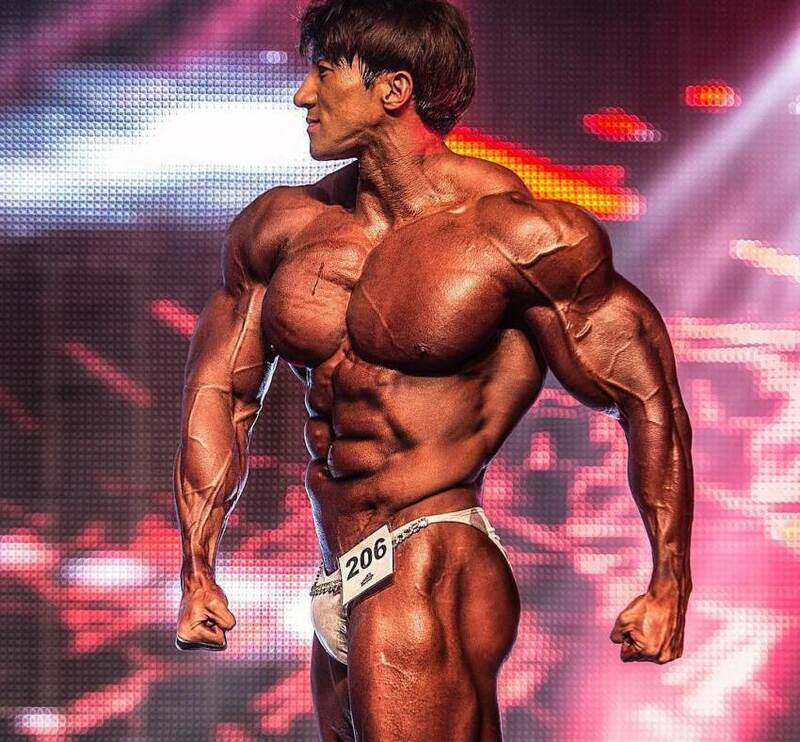 One of the best physiques in the world. He is tall as me. I’m 5’10” (177.5 cm) tall but I’m 152 Ibs (69 kg). He is really full-muscle man. Westerner here; just discovered Soon – THIS is an Arnold-worthy build – truely amazing. Way more impressive than any of the big-gut mass monsters popular today. This guys the future of the sport, and my new fav. What walking farmacy is this guy, i respect him, and his physic, but you must be very ignorant to believe this guy natural. Chul Soon you are my favourite bodybuilder, I’m starting this career from now, Even though I can’t afford the supplements…. But through hard work I believe that 1 day my body will look the same like yours. I have been going to gym but sometimes give up because progress was coming slow for me. So after viewing your videos and reading your stories I believed in myself.